A scar is formed whenever the skin is punctured. This is the body’s way of healing itself but any scars resulting from a hair restoration procedure are minimal. After a hair restoration procedure, few scars are left which are barely noticeable and which usually gets covered up by remaining hair. This is one myth that is quite absurd. Hair transplant procedures are only concerned with the skin on the scalp. This is no impact at all on the brain. Brushing your hair for hours don’t help improve the hair quality of your hair or grow your hair. In fact, brushing too often can damage the cuticles of your hair. Brush your hair only when it is required. Cutting or trimming your hair doesn't affect their growth. Hair growth is connected to the scalp and the roots rather than the tip of your hair. In fact, trimming your hair will make them look healthier and fuller. The fact is that there is no direct effect of any physical stimulation of the scalp on the hair follicles. In fact most people don’t know that extended massaging may cause frictional damage to hair. Since your hair is chiefly a dead tissue, taking vitamins or using a vitamin tonic on the scalp does not affect hair growth or hair fall in any way. Coloring hair is not unhealthy and it won’t affect your restored hair. In fact, coloring your hair with a darker tone may add some thickness and shine to your hair. Color makes your hair look thicker. It’s true that ageing is one natural reason for your hair thinning, however many other things like overexposure to sun, crash dieting, and chemical treatments also affect the health of your hair. Almost 40 to 50 percent of men and women have suffered hair loss by the age of 50, and so the numbers of hair restoration procedures taking place has been going up every year. 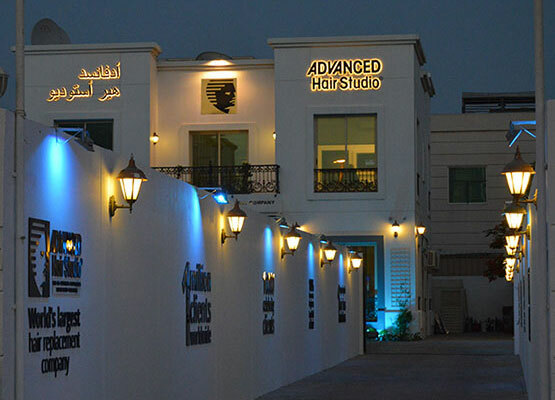 Advanced Hair Studio has been offering hundred percent natural and reliable hair loss treatments to millions of clients from all over the world. Get your hair problem fixed today with best hair restoration procedure with Advanced Hair Studio.